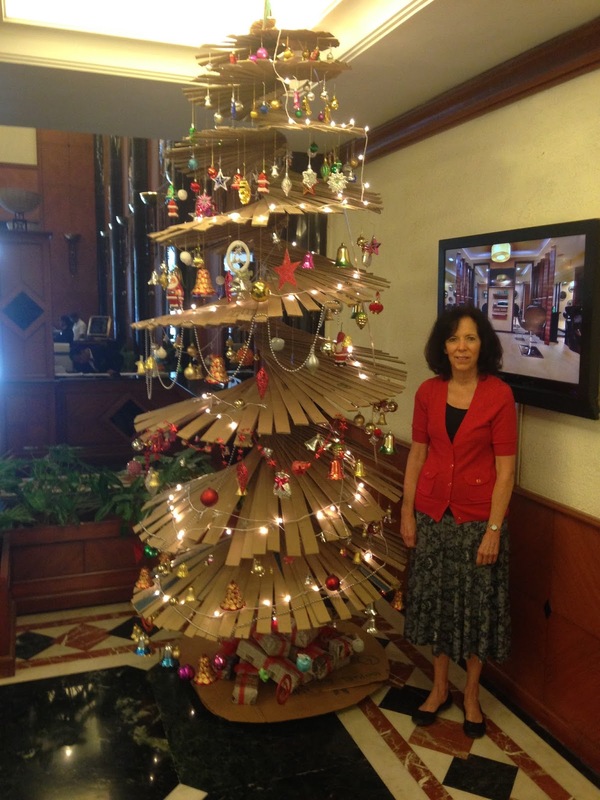 Merry Christmas from Bangalore, India and Happy New Year from Negombo, Sri Lanka. 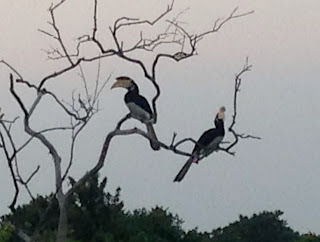 Our 12 month Indian visas expired the end of December and we were hoping they would send us to Sri Lanka as it was within the mission boundaries. 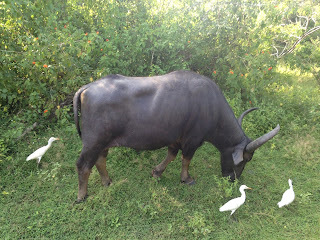 We found out that we were granted a 30 day Sri Lankan visa just days before our Indian visas expired and then about 3 weeks after our arrival in Negombo we were approved for a 6 month visa. We are called as humanitarian missionaries. 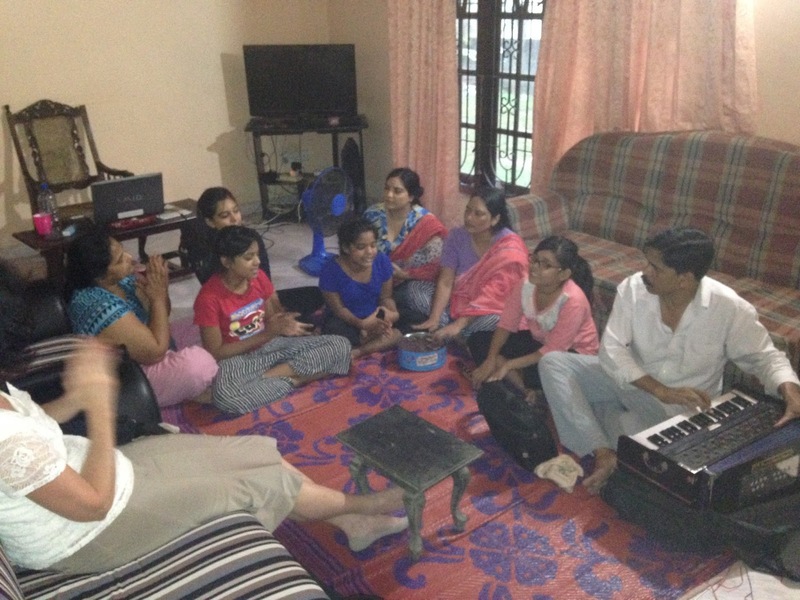 One of the highlights of our last month in Bangalore was being able to attend the Christmas devotionals for 2 of the zones in our mission. We first of all flew to Coimbatore where the Elders and 2 Sisters performed the Nativity with creative props, memorized narrative, and talented singing. We enjoyed and felt the spirit of their presentation, which was followed by lunch at a Chinese restaurant. We then flew to Chennai to witness the beautiful and spiritual performance by the Elders and Sisters in that zone. 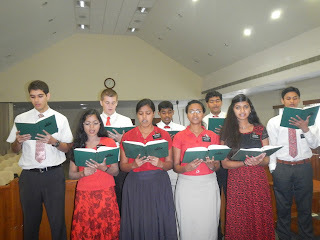 They also had practiced their parts well and with the assistance of the musically talented pianist, Elder Braganza and chorister, Elder Chandroo sang like a choir of angels. We then went to a buffet lunch at a restaurant similar to the Rainforest Cafe but on a much smaller scale. 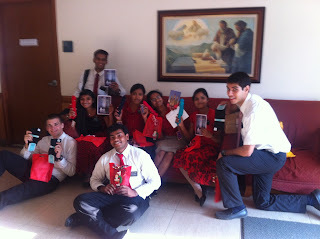 What a Christmas treat it was for us to attend those devotionals and to bid farewell to missionaries that we love! Tuscanos, an Italian restaurant. 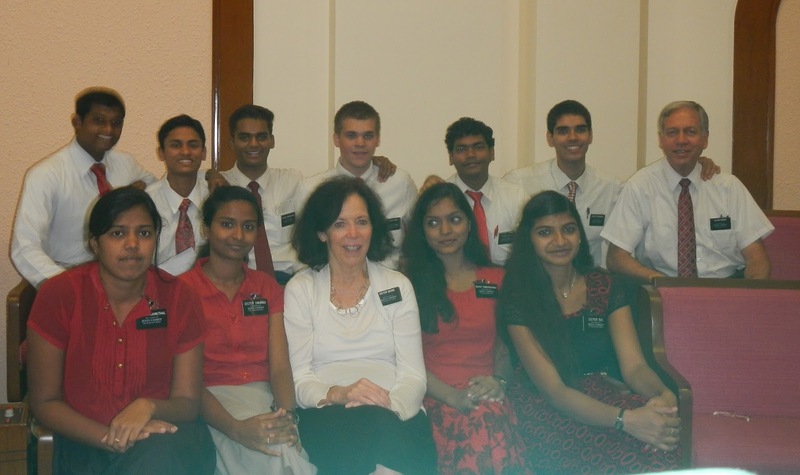 We have had many incredible and life-changing experiences in India and will miss the members of the church and the missionaries we worked with. They have been most kind and welcoming to us. I will miss their beautiful saree dresses and the colorful clothing worn by the children. We will also miss the security guards around our apartment complex who loved to practice their limited English vocabulary with us. 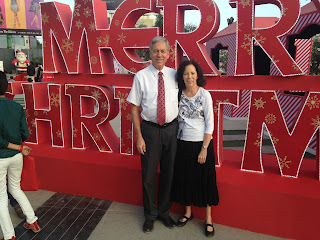 We have learned and experienced a lot this past year and our faith and testimonies have been strengthened. 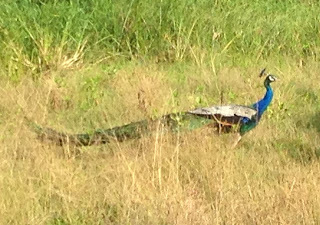 On the 26 December we departed India and took the 1-1/2 hour flight to Sri Lanka. 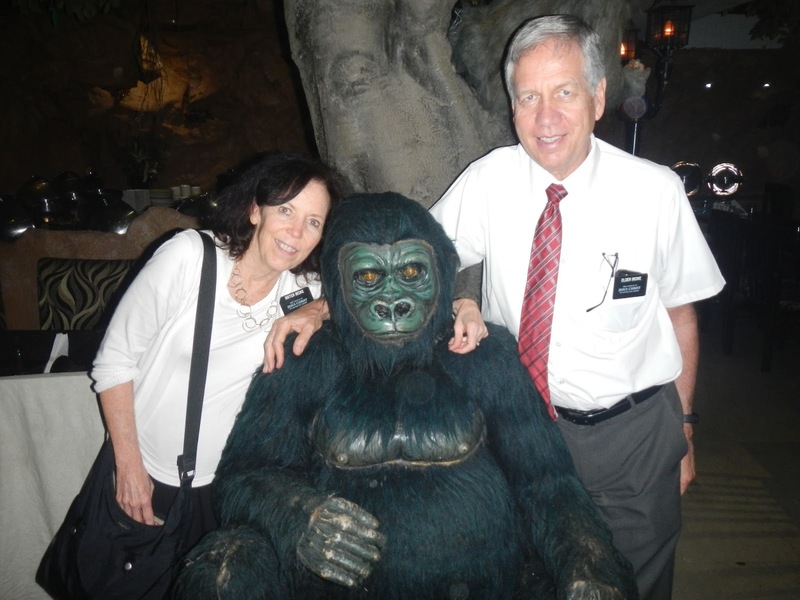 We had previously visited there about a year ago, when the Senior couple serving got released and the new couple, the Condies arrived. We knew it was more westernized than India, traffic a little less hectic (they actually stopped for pedestrians), a little cleaner (what's that--a garbage can?) and they served real beef at Burger King. The Condies, CES Senior couple are doing amazing work in Colombo along with two Elders. 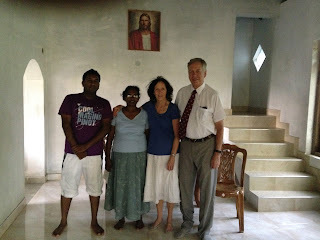 We are the only missionaries in Negombo, about an hour's drive from Colombo. We celebrated New Years Day with the only two Elders in Sri Lanka at "Super Mario's" home. He is one of the early day members of the church in Negombo. The traditional food is a lot of cakes, breads, sandwiches, fruit, and other sweets. 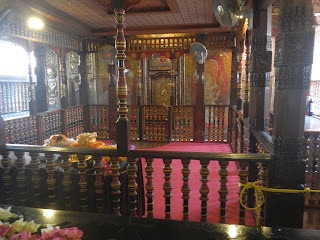 We were able to visit Kandy by train one weekend with the Condies, and our visit included a stop at the Temple of the Sacred Tooth. After the cremation of Budda, the people found that one of his teeth survived. It was saved in a special box, which is now stored inside this room of the temple. Many Buddists come here to pray and meditate. 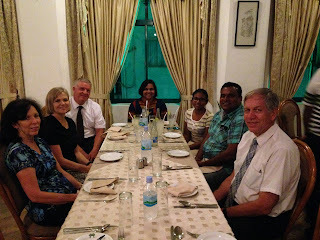 We had dinner to celebrate Sister Kolitha's birthday, the wife of the District President. The Condies generously shared a pecan log from Condies Candy in Salt Lake as the birthday cake. It was delicious! 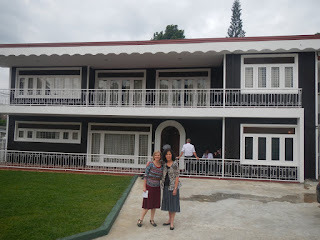 Also pictured are Sisters Condie and Bedke in front of the home we use for our church in Kandy. 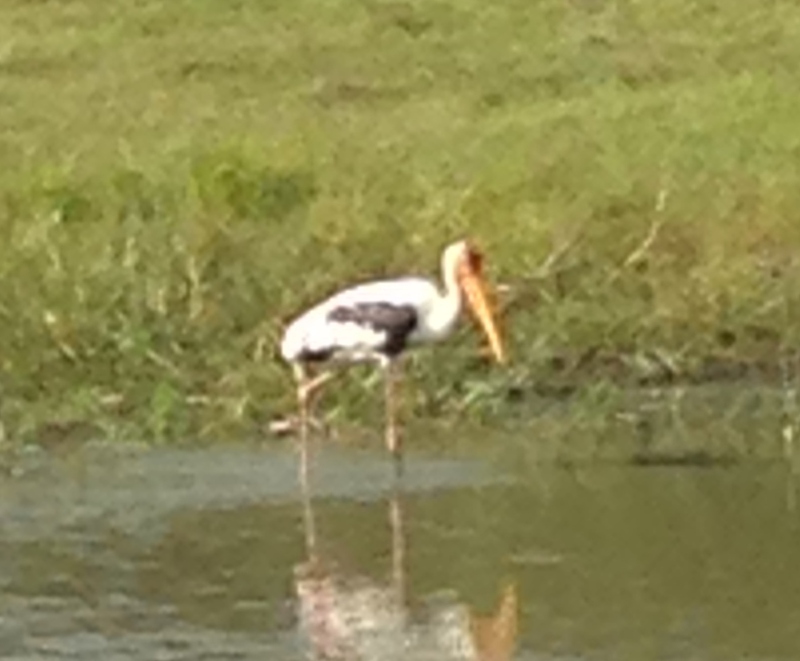 This is one of the families we have met. 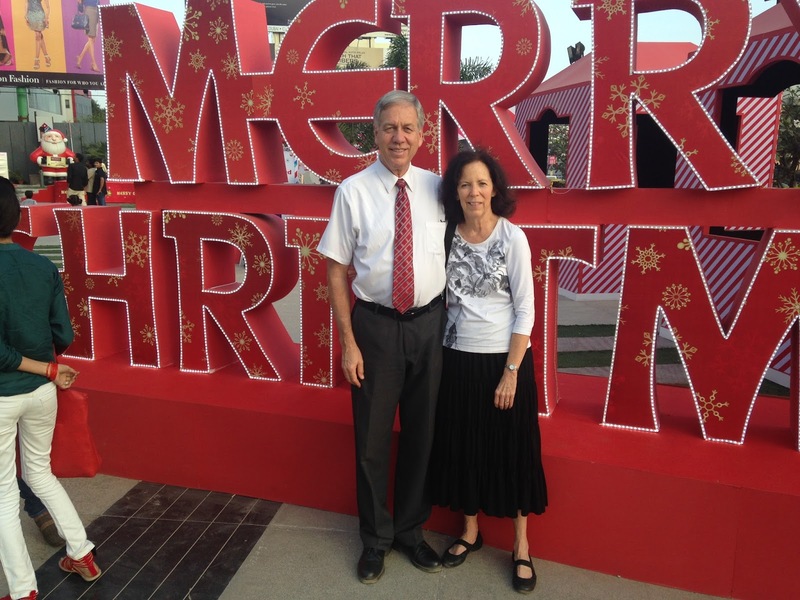 They are Christian refugees from Pakistan. We have enjoyed listening to them singing and playing their instruments. They are very talented. We walk at a nearby park in the mornings. It is a popular place for wedding pictures. The supporting cast is dressed and waiting for their turn. 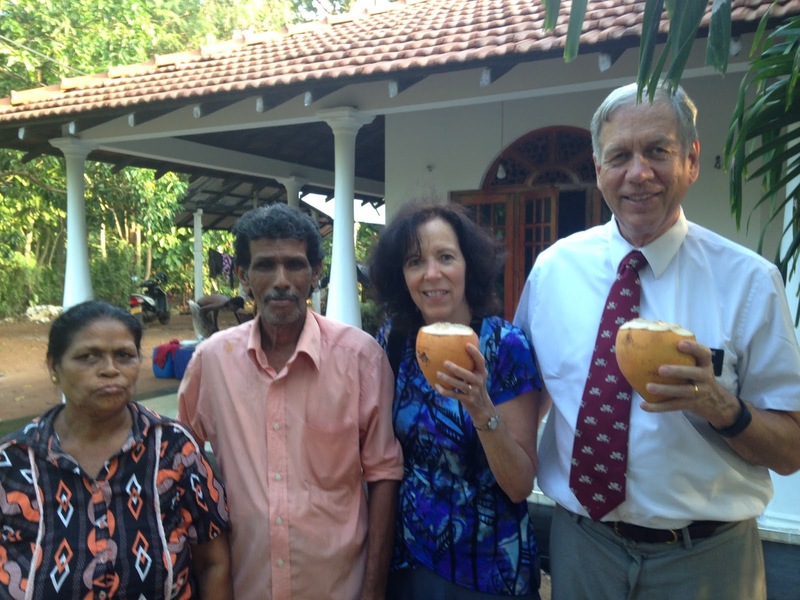 We visited Tudor and his wife in Chilaw and were treated to a drink of coconut water, fresh off his tree. It's just one of the ways we are maintaining our health! We travel to Chilaw twice a month to do English and piano classes and to visit members there. We enjoy our association with the members. 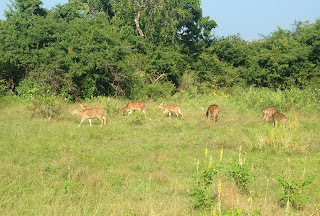 Vimukti and his mother Kusam are at the left. 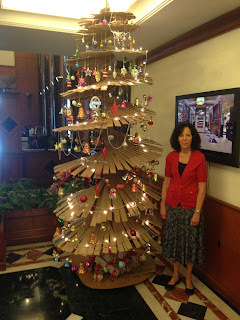 She is the Relief Society President in Negombo. 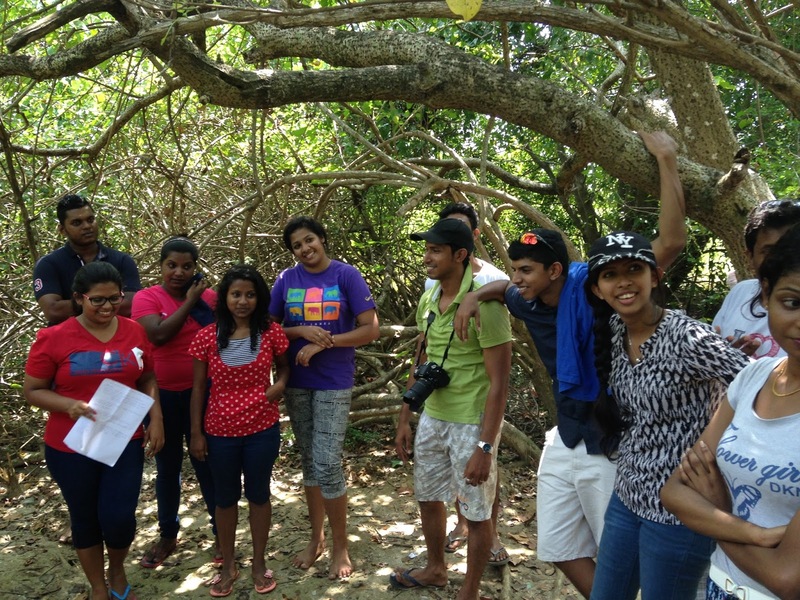 Below are some Young Single Adults at a visit to one of the nearby islands. 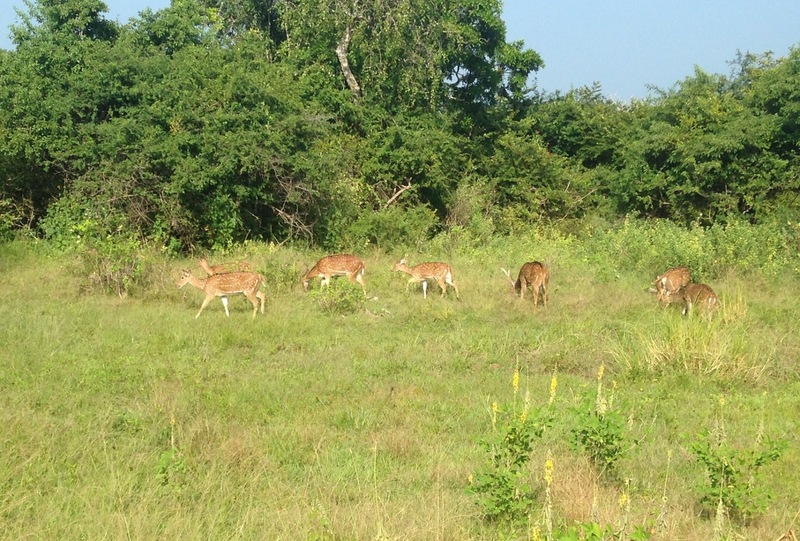 Sri Lanka is a tropical island with several national parks. 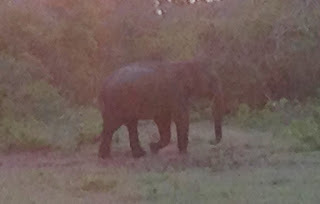 We visited Yala on a P-Day with the other missionaries. It was about a 6 hour drive to get there and 4 hours to return. 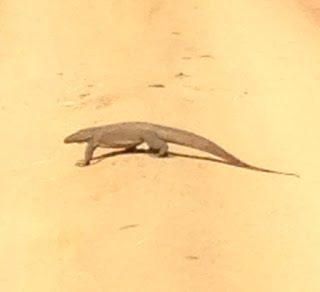 We did a fun 3 hour jeep safari. We saw lots of wildlife as pictured below. 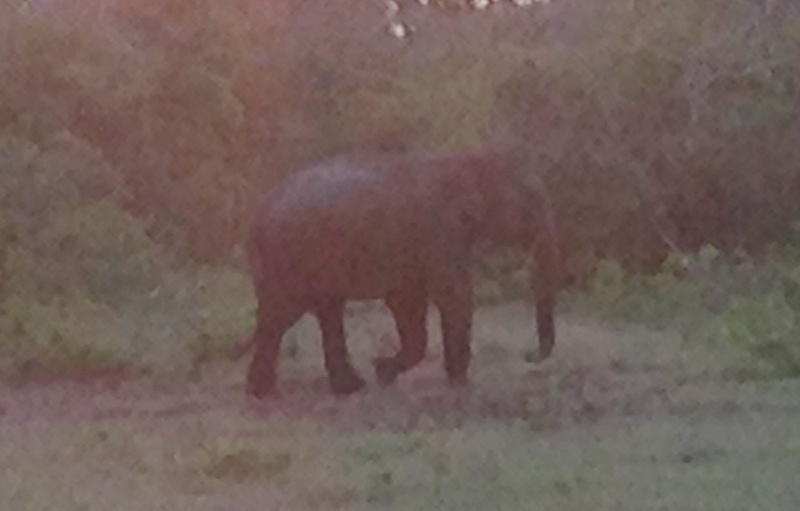 Hoping to see a leopard but no luck--did see an elephant walk out of the trees. 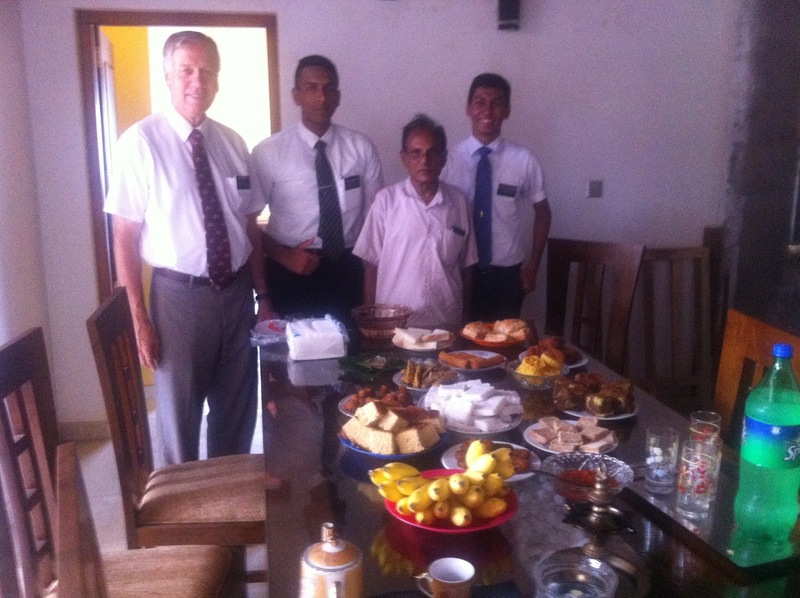 We are enjoying working with the branch here in Negombo. 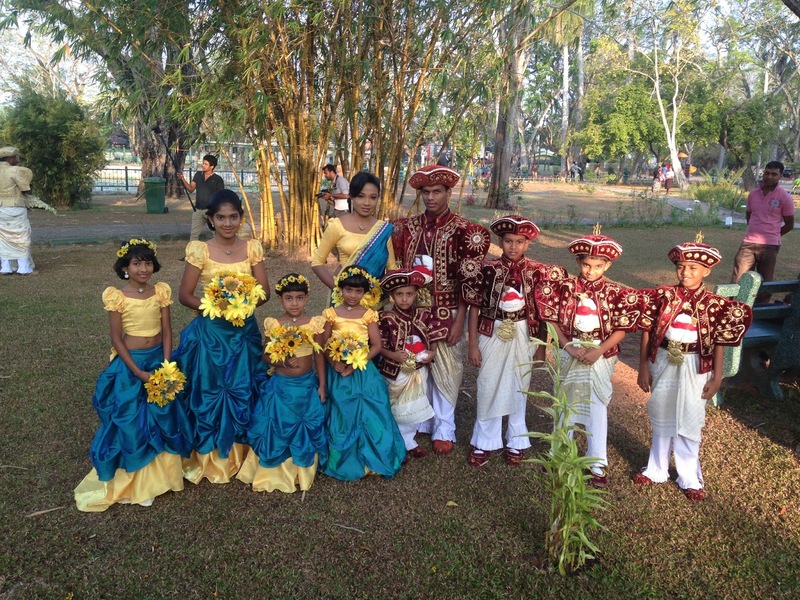 Although their meetings are in the native tongue Sinhala, we feel their spirit and their abundant love. 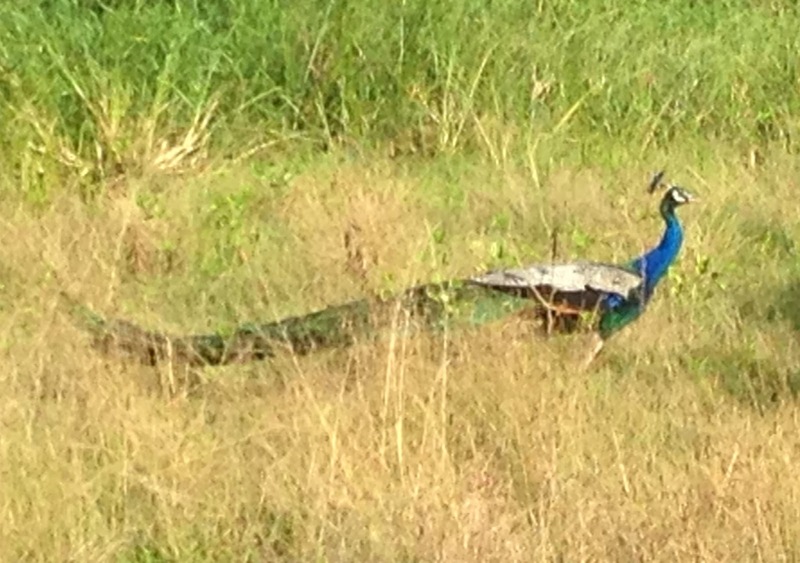 They are beautiful humble people--so much to learn from them!